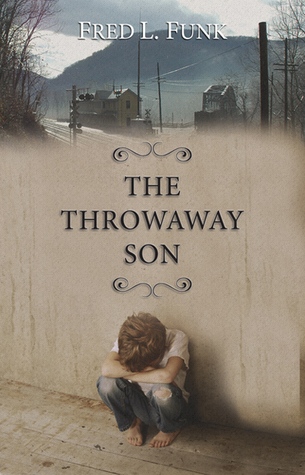 Be sure to have a couple of boxes of tissues next to you when you read this book. But you will have a hard time putting it down. Fred Funk tells the story of a man who was “thrown away” in Throwaway Son. You will wonder how a person, especially a mother, could do the things that were done to Boss Wilford. was his mantra as Boston Ray Wilford related his life to his best friend, Dale Henderson. Growing up as an abused child in the 30’s and 40’s, Boss lived under conditions that would be horrific for an adult much less an impressionable young boy. What could save him? Read the book to find out what happens to Boss. Told in serial form, as his strength allowed, Boss related his story to his best friend about how he lived and what he did to survive. You will be appalled and, in the next chapter, cheer him on as you read this story of highs and lows. This book will take you to a place and time you will possibly have trouble believing even existed. Or believe it could happen to a person. It is definitely what is known in the reading world as a page turner. 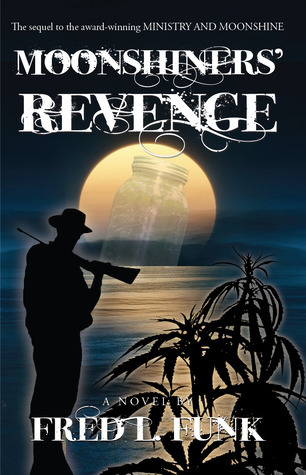 Matt Reynolds returns in the sequel to Ministry and Moonshine with Moonshiner’s Revenge. The story continues with many of the same characters and a few new ones. Some of the people in the first book are also gone. Just as Matt and Beth Reynolds are preparing to leave Pruett, Texas for a new town, they are told that they are not going to have to leave. They are going to be able to stay and continue their ministry with groups made up of some very colorful people, some rather unsavory – more so than the moonshiners. This installment of the popular East Texas series tells of a new, sinister threat to the community, as well as the moonshiners. It has been said that revenge is profitable. No wonder the moonshiners wanted to rid themselves of the latest threat. This time the moonshiners of the area help to rid Pruett and the surrounding country of a destructive force more dreadful than the moonshine, although not for completely altruistic reasons. Mr. Funk has written in his very entertaining and exciting style. So often, a sequel does not live up to the first one. This sequel completely disproves this notion. Moonshiner’s Revenge is as good as the first one, maybe a little better. Fred Funk writes from personal experiences. He started out as a Methodist minister in East Texas and later switched careers to accounting and finance. He is an active member and former president of the Denton Noon Kiwanis Club. Now retired, he lives in Aubrey, Texas with his wife, Dana, of fifty plus years. They have two daughters and a son, seven- grandchildren, and one great-grandson. Fred Funk has captured the lifestyle of East Texas in his book, Ministry and Moonshine. He recounts the sometimes funny, sometimes sad and very interesting story of Matt Reynolds and his young wife, Beth, as they begin their life in the Methodist ministry in Pruett, TX. Based loosely on real events, this story will make you laugh, cry (maybe not literally) and hold your breath. The young couple meet new friends, gossips, moonshiners, adulterers and even a convicted murderer. They discover many hidden secrets in this small East Texas community through the lives of its people. There is even an element of “ghostly” happenings. You will want to read this story, but before you put it down for the last time, have another one of Fred’s books waiting next to you at your favorite reading spot. Fred Funk has written this book from personal experiences. He started out as a Methodist minister in East Texas and later switched careers to accounting and finance. He is an active member and former president of the Denton Noon Kiwanis Club. Now retired, he lives in Aubrey, Texas with his wife, Dana, of fifty plus years. They have two daughters and a son, seven- grandchildren, and one great-grandson.